configuration, or gang part handling, up to 40 parts per deburr cycle is possible. 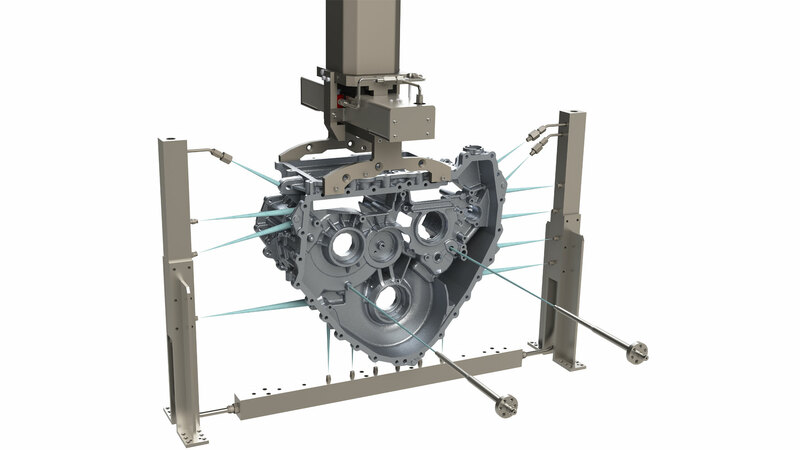 Pre-washing, high presssure waterjet washing, rinsing and drying parts inside a single machine reduces the amount of part handling, lowers capital cost and shortens overall cycle times. flexible high pressure hoses which are prone to failure. 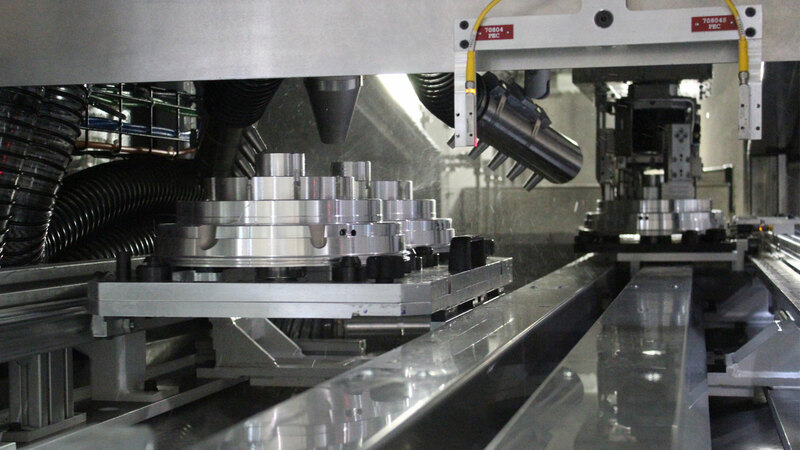 The iJET’s use of stationary workstations allows for more complex tooling that is rigidly piped providing greater reliability requiring little or no maintenance. The iJET is a proven high pressure water jet cleaning machine. Independent dirty & clean part pallet shuttles, with integral air blast drying, controlled with CNC programmable drying sequence. Compact 6 station high pressure water tooling design. Fast station shifting using a combination of high & low pressure direct and fan nozzles. Targets critical features and ensures 100% part coverage with up to 20,000 PSI (application specific). 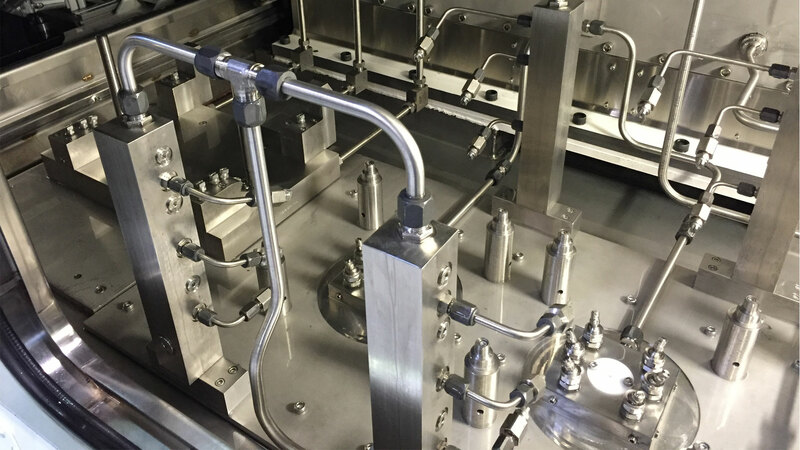 Part-repick station added to wash grippers & eliminate all areas of contamination.